Let your local Bank of Canton mortgage lender help you decide. We can explain the advantages of each of our mortgage products to you, and help you choose the best financing option for your situation. At Bank of Canton, we offer a variety of conventional mortgage products with excellent rates, terms, and down payment options. Through relationships we’ve forged with our industry partners, we can offer extremely competitive rates on fixed- and adjustable-rate mortgages, both conforming and non-conforming (jumbo). Here, you’ll enjoy the low rates and wide selection of a national mortgage company, plus you’ll get the personalized service and attention you expect from a local community bank. That’s how we’ve been able to help over 15,000 homebuyers and homeowners with financing since 2010. Our expert mortgage lenders are happy to review your specific situation in detail, and help you choose the option that best suits your needs. Call 888-828-1690 today, or contact your lender directly. Our fixed-rate mortgages are ideal for borrowers seeking to lock in a fixed rate for the life of their loan. Borrowers can choose from several popular terms, or we can customize a different term upon request. You can learn more about fixed-rate mortgages in our Financial Ed center. 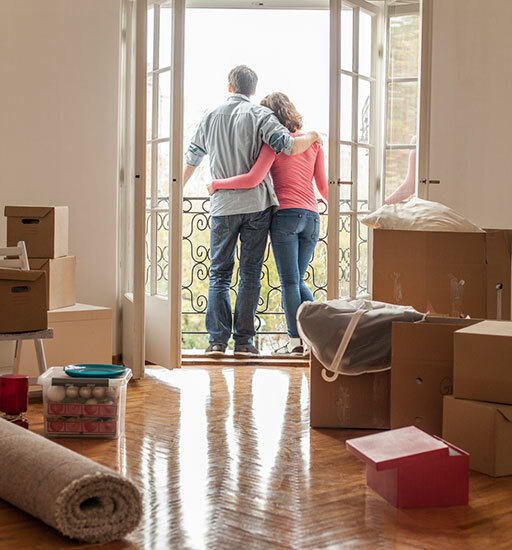 Adjustable-rate mortgages, or ARMs, offer borrowers a low, fixed interest rate for an initial period, followed by a variable interest rate over the remaining term. Adjustable rates are based on an index plus a margin, and will adjust annually based on changes to the underlying index. The amounts an ARM can adjust each year, and over the life of the loan, are typically capped. Visit our Financial Ed center for more information about ARMs. We also offer specialized loan programs for qualifying first-time homebuyers, low- to moderate-income buyers, and military families. These programs typically feature great rates and low (or no) down payment requirements.